Pokemon Go's EX Raid Battle Invite Bug "Has Already Been Resolved"
If you were receiving EX Raid Battle invitations without visiting a gym recently, Niantic has already fixed the problem. Boo. Pokemon Go's EX Raids are intended for the most high-caliber players of the game. To get an invite, which offers the chance to fight MewTwo, you have to have a high-level Gym badge and a large number of completed Raids. Earlier this week, some avid players of Pokemon Go noted that they were receiving EX Raid invites for gyms they hadn't raided in months or never raided at all, which wasn't supposed to be the case. Players hoped the change was intentional on Pokemon Go developer Niantic's part, in an attempt to funnel players towards gyms in less-trafficked areas. Niantic confirmed today that this was a bug that has already been fixed. "With the latest batch of EX Raid Battle invites, we implemented a few changes to improve Trainer and Gym selection," said the developer in a blog post. "Unfortunately, a bug was introduced when these changes were made, and, as a result, some Trainers were invited to participate in an EX Raid Battle at a Gym they may not have visited in several months. This bug has already been resolved, and future invites will better represent how the updated invitation process is intended to function. Most importantly, Trainers will only receive an invitation if they've completed a Raid Battle at that Gym recently." Niantic is offering further tweaks to the EX Raid battle selection process though. EX Raid Battles will still take place at parks and other sponsored locations, but more gyms will be eligible and more players will be invited. Recent playtime also factors in. "The average number of Trainers invited per Gym will also rise, as we've made a few tweaks to the way they are selected. Thanks to these two changes, more Trainers will have the opportunity to engage with the EX Raid Battle feature," said Niantic. "The quality of EX Raid Battles at these locations should also improve. To start, Trainers with a higher level Gym Badge are now even more likely to receive an invitation for an EX Raid Battle at that location. Similarly, Trainers who complete more Raid Battles (at any location) the week before EX Raid Battle invitations are sent will now have a greater chance of being selected." There's no way to guarantee an EX Raid invite, but at least there are now ways for players to increase their chances. 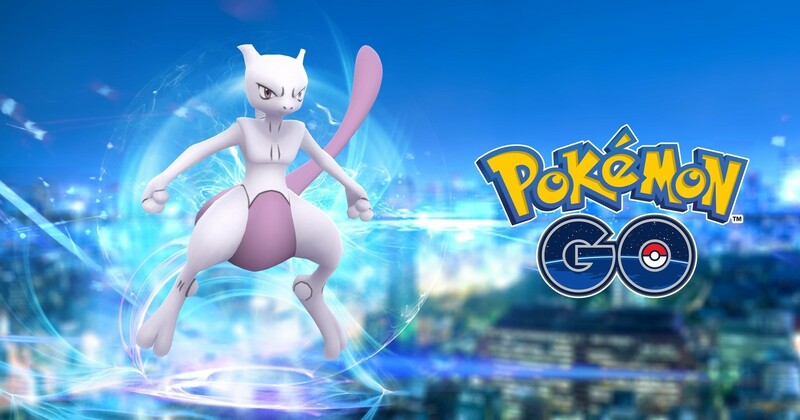 Players remain unhappy that the process for selecting EX Raid participants isn't more transparent though, especially with MewTwo as a potential reward. Tagged with Android Devices,	iPhones,	News,	Niantic.